Did you know? 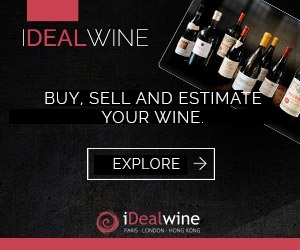 At iDealwine, we’re betting that these lots will be snapped up before long. Burgundy, Bordeaux, the Rhone and Loire valley, Languedoc… the variety of the collection is overwhelming. Let’s take a closer look at this sale’s iconic wines. In this early October, imagine the Burgundian vines adorned in golden, orange and red… There, in the heart of the Côte-de-Nuits, lies a small climat known throughout the globe. Have you guessed it? Romanée-Conti, of course, which features in this sale in the 2006 vintage. This is the perfect opportunity for you to buy old, sometimes collectable bottles, and these auctions will also allow you to travel throughout the region in just the blink of an eye. In Chablis, we have the ripe, concentrated grands crus of Raveneau and Vincent Dauvissat. In the Cote d’Or, and more specifically in the Cote de Nuits, don’t forget the precious Gevrey-Chambertin from Claude Dugat or Armand Rousseau, nor the Vosne-Romanée from domain Dujac and Emmanuel Rouget. Heading further south, the Cote-de-Beaune features in the form of a Beaune premier cru Vigne-de-l’Enfant-Jésus 2005 from Bouchard Père & Fils, the Meursault from Coche-Dury and the Chassange-Montrachet 1er cru Les Champs Martin 2005 from Michel Juillot. In Bordeaux, Petrus is as always our shining star, with its superb 2015 vintage, which is to be left lying in a cellar for a long while. The more patient of you out there will also be able to turn to the Left Bank, to the emblematic châteaux, whose wines are made for very long aging. The châteaux Latour, Lafite-Rothschild, Las Cases and Lynch-Bages await you. Are you looking for some originality among t changemethe “classicism”? Taste the Château Dauzac 1986, a vintage from the pre-vegan period which is much talked-about at the moment. Another property which is causing a sensation is the biodynamic grand cru classé Pontet-Canet, or even, and this is the cherry on top, the crème-de-tête-réserve 1949 of the Sauterne Château Gilette. The steep hillsides of the northern Rhone favour the Syrah variety (the only red grape allowed), which produces wines of a wide variety of profiles. Are you looking for floral aromas? 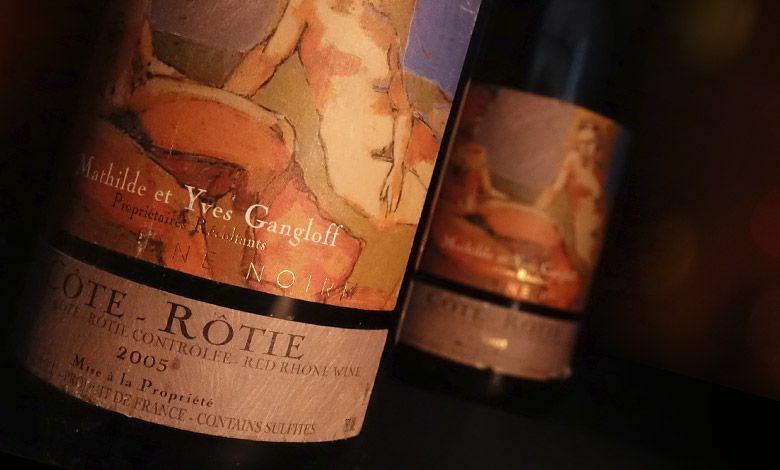 Look to the north, to unearth the Cote-Roties from Rostaing, Gangloff, or Yves Cuilleron. Do you have a weak spot for the peppery notes typical of Saint-Joseph? Get your hands on the wines of the domains Gonon and Bernard Gripa. The Hermitages from Guigal are more full-bodied and made for aging (Ex-Voto for example) as well as those from Graillot, the Cornas from Alain Voge, Thierry Allemand and Auguste Clape whose quality… Heading further south, for a change of register, the Châteauneuf-du-pape from Château Rayas, Beaucastel or Saint-Préfert are absolutely unmissable. Loire rhymes with star. A windfall if there ever was one! This sale is positively bursting with mythical names. Charles Joguet in Chinon, Edmond Vatan and Dagueneau in Sancerre, Clos Rougeard in Saumur-Champigny, Stéphane Bernaudeau and his vins de France, Nicolas Joly in Savennières… take your pick . A few days ago, domain Marcel Deiss ended its harvests on a high notes with the Altenberg de Bergheim parcels.Here you’ll find the 2000 vintage, to be tasted from today. In any case, with biodynamic domains such as André Ostertag and Bott-Geyl, and mythical parcels (Clos Saint-Urbain from Zind-Humbrecht and Clos Saine-Hune from Trimbach), the Alsace won’t let you down. The (albeit clement) autumn is among us. Go mad for the extremely deep, Languedoc red wines which are positively brimming with freshness: Mas Daumas Gassac, Granges de Pères, Domaine de Montclamès or Terrasses d’Elise. They all promise to make an excellent pairing to for poultry with cep mushrooms and a pumpkin purée. Tested and approved last week; the recipe will be yours in no time . Not yet registered to buy wines with us? Sign up here for free! 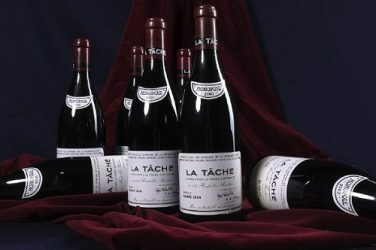 Auctions | Spring is in the air, top up your cellar! As the days get longer, embrace the first signs of Spring by breathing new life (and new wines!) into your collection.